THE FUTURE OF EVERYTHING Panel: How Your Radio Station Can Benefit From These Evolving Platforms? Gina Juliano - VP of Marketing & Content, Spotlite Media Inc.
- Should you Publicly Disclose Your Listening Stats? -Should you Publicly Disclose Your Listening Stats? - Why should your numbers remain private? - Mid-Rolls are only available on downloads and distribution platforms using your RSS Feed. They are not yet available on the Spreaker website and on the Embedded player. I publish as soon as I'm done recording unless it's a project requiring more editing and creative design. I like both types of shows. Ones without a co-host and ones with a co-host especially if they have great chemistry. Is there an update on midroll? 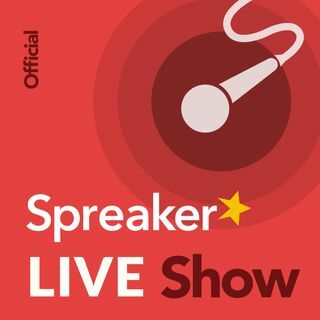 Im a recent switch to spreaker, and i thoroughly enjoy this show, i like the balance of hearing my host representative” and also the objective of two seasoned podcasters. I like knowing what's going on in podcasting and Spreaker on particular, but i never feel like you guys are trying to sell me something. I just checked CMS and it's not there for me yet. It's probably rolling out through the accounts. Did it today. It really doesn't get any easier! Don't get me wrong, I totally agree with what you're saying. Every episode it's a YouTube rant. I love yuh but we get it you have been screwed...lets move on. I understand Alex's issues with YouTube. That's horrible. Thank you for listening Live today!